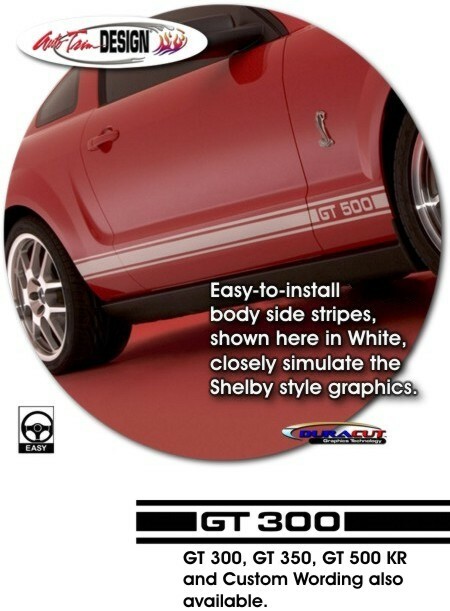 Set your '05-Current Ford Mustang apart from the rest with this classic body side graphic set. Available here in Gloss Black with GT350 badging and is packaged with one (1) left and one (1) right side graphic. Trimming required at door jambs and at each wheelwell.